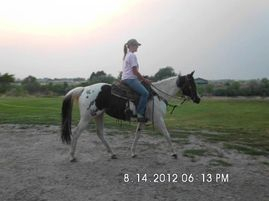 Kachina is just an amazing girl! 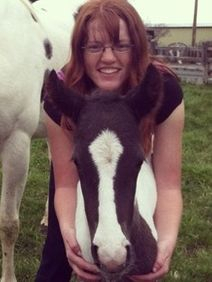 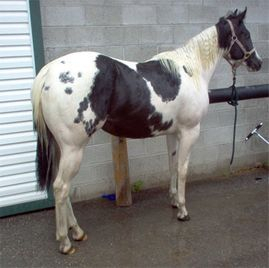 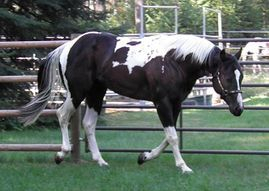 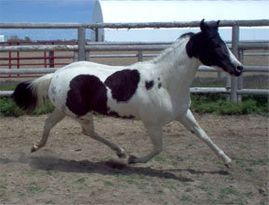 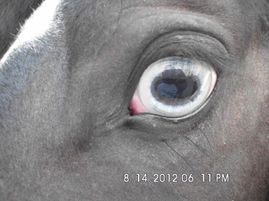 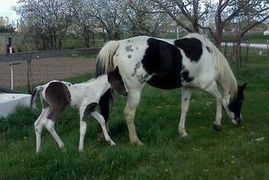 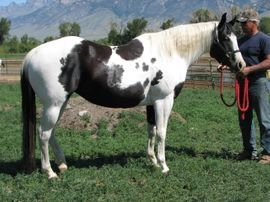 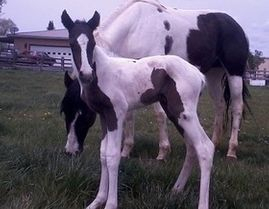 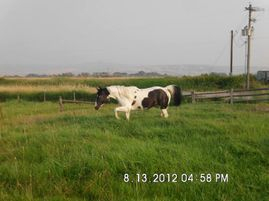 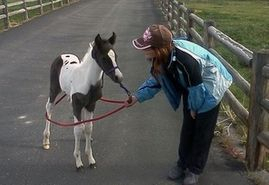 She has a nice small Arabian like head, gorgeous crystal blue eyes, a strong and thick build, plus she is homozygous black and homozygous Tobiano! 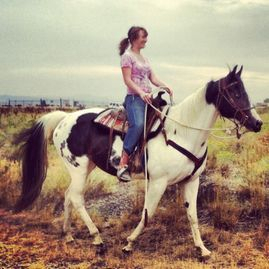 Kachina is more than willing to please. 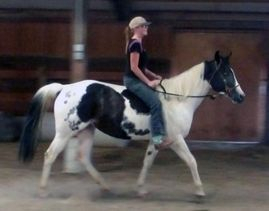 She has nice smooth movement and is a true pleasure to ride! 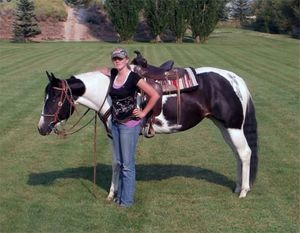 Thank you Lori and Ron of Idaho for working with me! 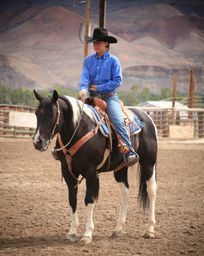 She goes back to Yellow Mount, Sugar Bars, Sonny Dee Bar, Leo, Wimpy, and King to just name a few.